The smallest forklift in the Hyundai counterbalance range raises the bar in ergonomics. 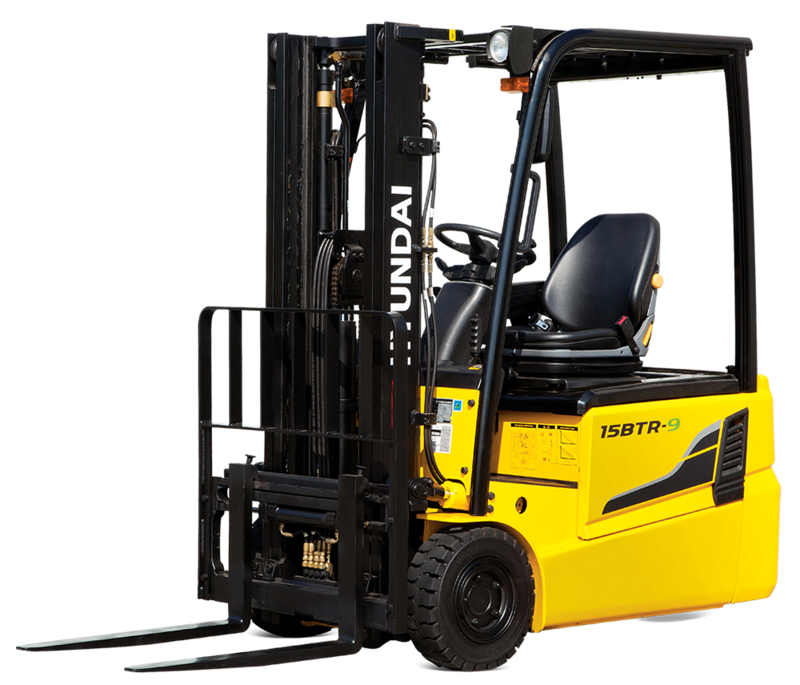 Hyundai introduces the powerful BTR-9 as part of the new 9 series electric forklift range. This 3 wheel forklift provides operators with smooth running, enhanced performance and easy maintenance through its self-diagnostic LCD monitor. The ergonomically designed driver's space will make operating more comfortable than ever before. Features include; curve control, wet brakes, compact aisle turning, anti-roll back, travel speed, state of the art safety features and improved visibility. Long maintenance intervals and excellent durability ensure this truck delivers maximum productivity.